Mr. H (Huegelmann) is the cool “Grandpa” who loves to get silly with our students. This is his sixth year at Happy Hands. 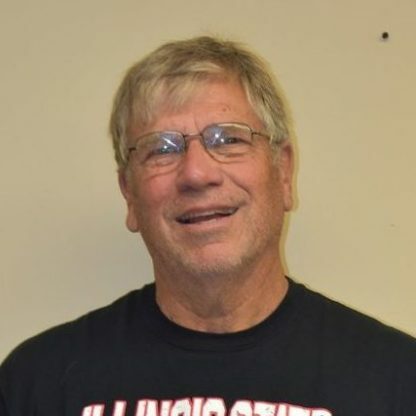 Prior to joining us, he taught Language Arts for 33 years in Orland Park schools. A long-time Lemont resident, Mr. H is a member of the Lemont United Methodist Church, and has been a Boy Scout leader for over six years. The youngest three of his five children attended Happy Hands. He leads an active life, enjoys camping, spending time with his family and their many pets. Motor class is an important part of the Happy Hands curriculum. Mr. H not only helps the children develop large motor skills, he also works with the students on cooperation and sharing, playing games, and listening skills. He finds preschoolers a pleasure to teach and appreciates their boundless energy and amazing personalities!